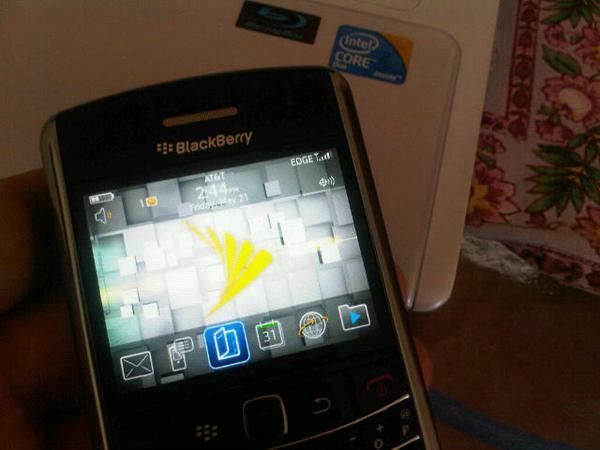 Last week Sprint became the first carriers in the US to release RIM’s latest smartphone, the BlackBerry Bold 9650. The Bold 9650 shot into spot light for a few reasons which seem quite unorthodox. Firstly Sprint ships this version of the phone “unlocked” which means it can work on any carrier! That means it can not only work on its CDMA/EVDO wireless network but also on various GSM/UMTS networks out of the box. Its about time consumers are really in control of what they spend for! Typically GSM-compatible BlackBerry phones are locked to their corresponding networks. To use the BlackBerry Bold 9650 on other networks you’ll need an active SIM card from those carriers. Here’s a quick walkthrough of how to change the BlackBerry Bold 9650’s mobile network technologies between CDMA/1XEV and GSM/UMTS. Ensure an active and compatible SIM card is inserted in your BlackBerry Bold 9650 SIM card slot. To insert a new SIM card remove your Bold’s battery cover and battery and take out the default SIM supplied by Sprint if present then slide the new SIM into place. Replace your Bold’s battery and wait for the device to reboot after which click on Manage Connections on your home screen. Within the “Manage Connections” menu, scroll down to and click “Mobile Network Options”. On the following screen scroll to “Network Technology” and click to open a drop-down menu. Then change the value from either “Global or 1XEV” to “GSM/UMTS”. Exit out of the “Mobile Network Options/Network Technology” menus, wait a few seconds for the new network connection to establish itself and you’re good to go. To switch back to your CDMA network, simply repeat the above process but choose the 1XEV network option under “Network Technology”. Let us know if you have tried.